Jean Cocteau was born in 1889 and was a prominent figure of the French artistic life of the 20th century. He was brilliant in everything he did: poetry, literature, cinema, painting and drawing. When he discovered the French Riviera he was in his 20’s and it was only natural that he felt inspired by these landscapes still untouched at that time. During 50 years he left artistic traces along his way on the coast leaving a road we can still follow today. If you get there by plane you will land at Nice International Airport. Rent a car and go east. 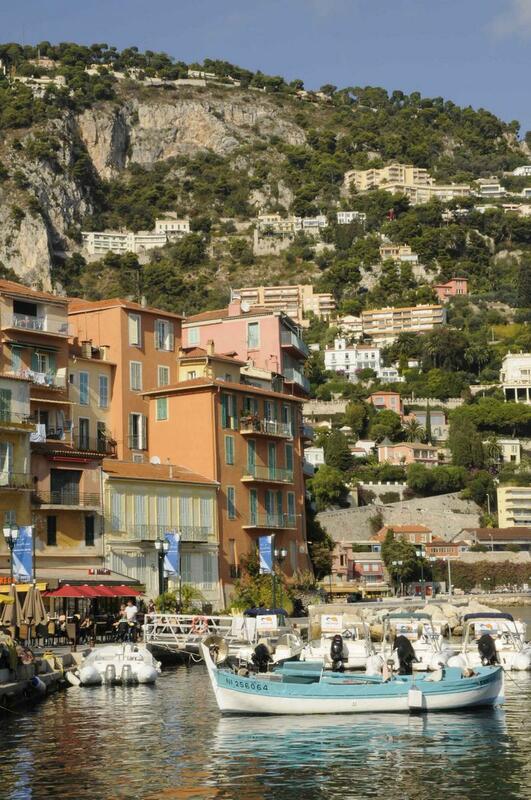 Your first stop will be Villefranche-sur-Mer a lovely harbour nestled in a deep cove. 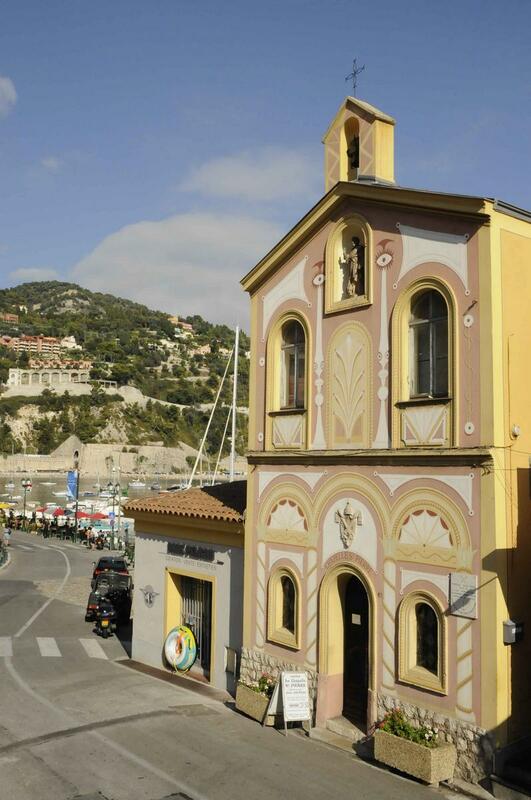 The Saint Pierre chapel was built during the 17th century on the harbour and in 1957 when Cocteau got interested in it, The chapel was only used at that time as a shed for fishing nets. He decided to give it back to its original religious use. 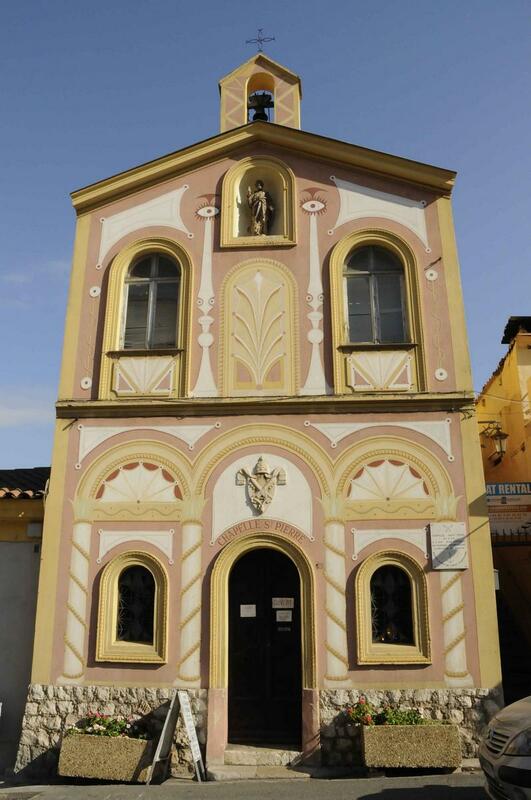 So he started painting frescos on its walls and its ceiling as well as on its outside façade. It was the first time he decorated a chapel. Two of the frescos depict Mediterranean scenes with fishermen working on their boats, the 3 other frescos tell episodes of Saint Pierre’s life. Cocteau entrusted it to the local fishermen’s association and masses are still said on special occasions. 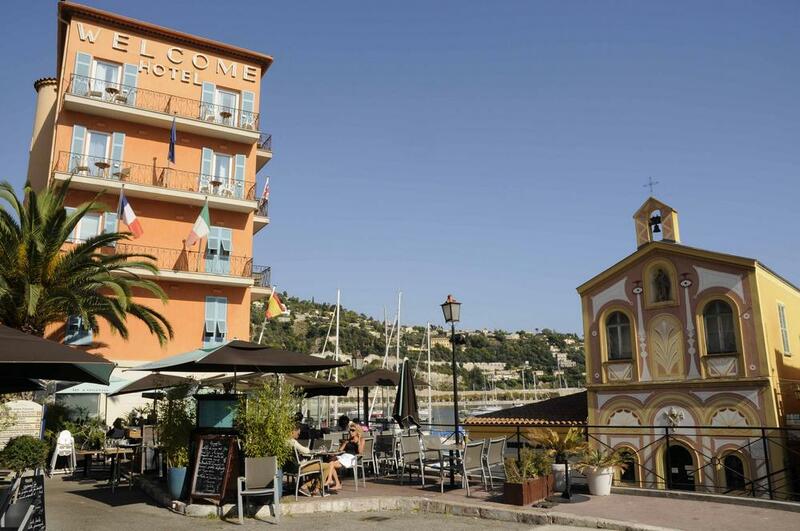 In Villefranche Cocteau lived in the Hotel Welcome and made friends with the owners. He once said that he spent there the best moments of his life. Located on the seafront it’s still a great place to stay and most of the decoration is a reminder of this illustrious client. 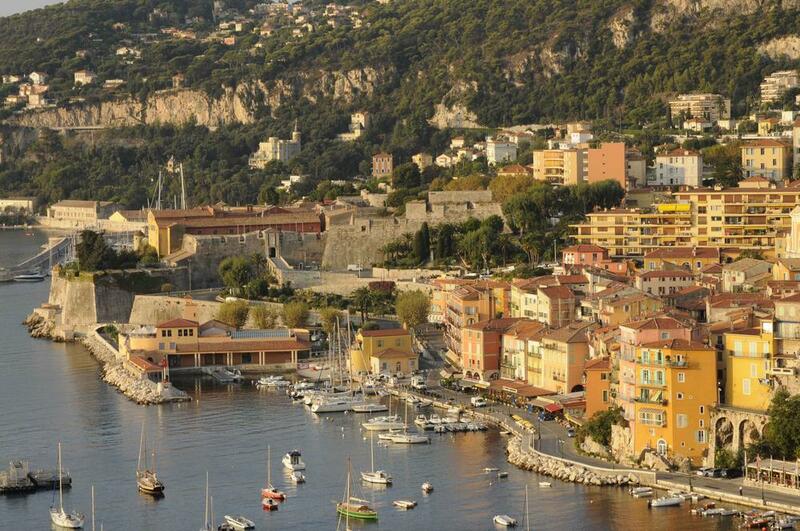 Leaving Villefranche and still going east you will reach Saint-Jean Cap Ferrat. In 1949 Jean-Pierre Melville was shooting “Les Enfants Terribles” a movie based on a novel by Jean Cocteau. It was on this occasion that he met Francine Weisweiller a very rich patron of the arts and they instantly became friends. She invited him for a week in the house she owned in Saint-Jean Cap Ferrat. It was a small villa called Santo Sospir overlooking the sea, simply decorated, with blank walls. Soon Cocteau told Mrs Weisweiller that “the white walls were shouting their silence to him and that he couldn’t wait to make them talk”. He first drew an Apollo head over the fireplace. Then of course he didn’t stop there nor did he stay at the villa for just one week. Perched on ladders, without any preparatory drawings he went on painting throughout the summer. 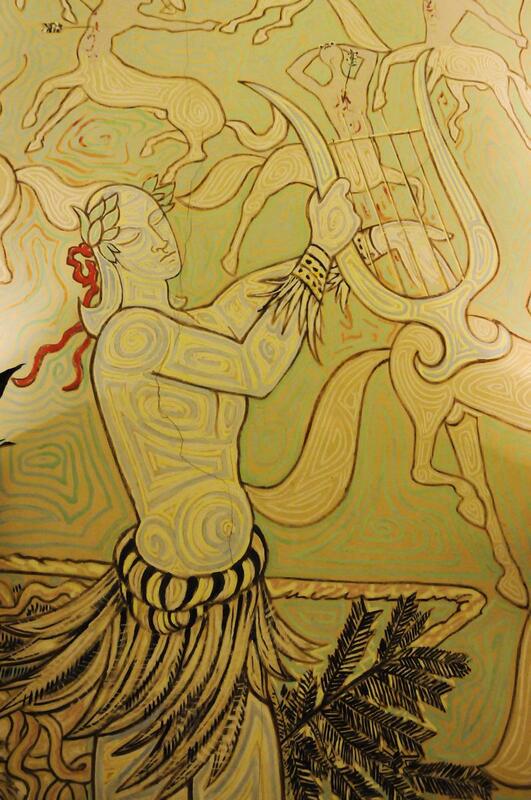 Cocteau said it was like painting on the skin of the walls and Santo Sospir became the “Tattooed Villa”. 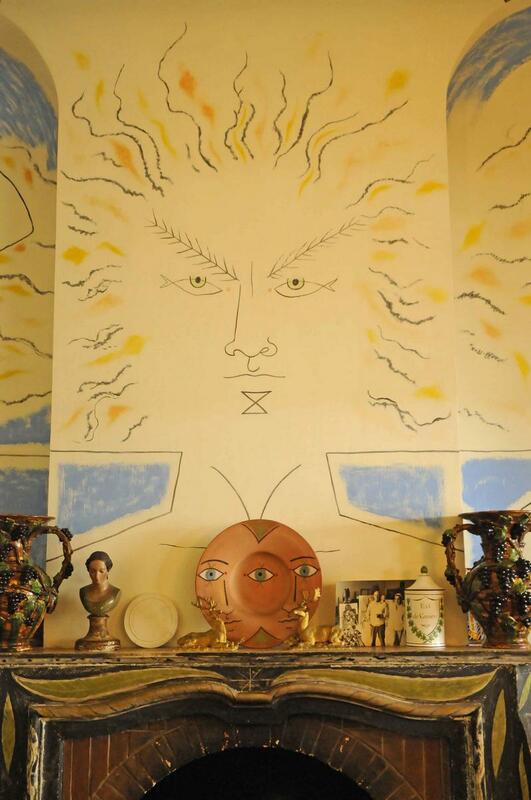 Cocteau spent many summers in the villa painting one wall after the other, then the ceilings and finally creating two mosaics on the floor of the patio. 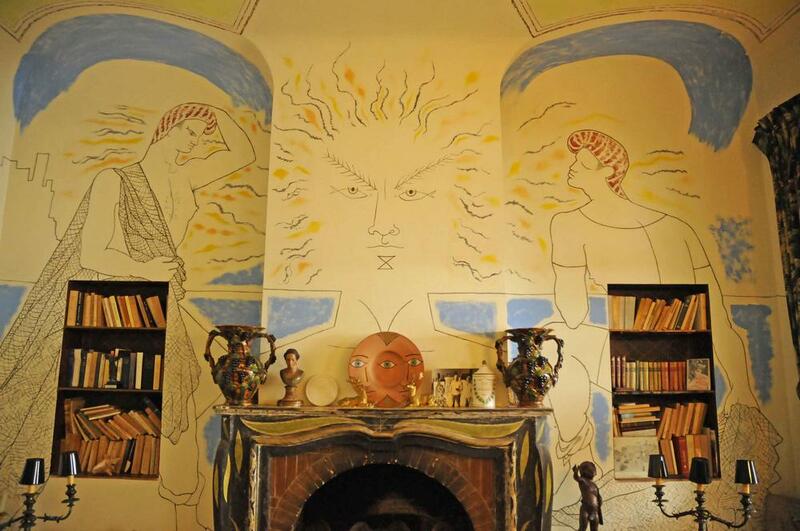 Visiting the villa today is entering Cocteau’s vision of Greek mythology, and what a vision! To visit the villa you need to get a reservation by phone: 00 33(0)4 93 76 00 16 or by email: santosospir@aliceadsl.fr . For more information’s: www.villasantosospir.fr. While in Saint-Jean Cap Ferrat you can also go to the town hall where Cocteau painted another fresco in the wedding room. Ask the receptionist to open the door for you. 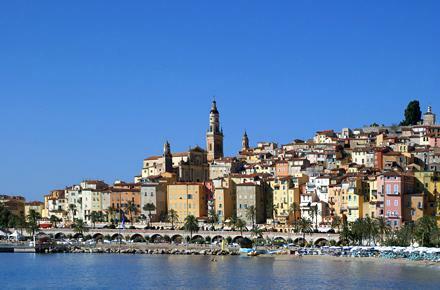 Your next stop will be Menton. 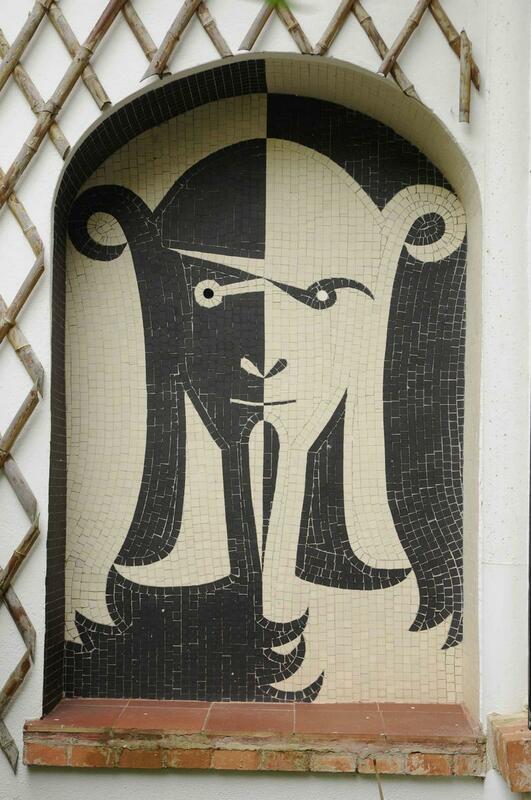 Jean Cocteau first came to Menton to attend a music festival and fell in love with its architecture and atmosphere. The mayor asked him to decorate the new wedding hall in 1955. 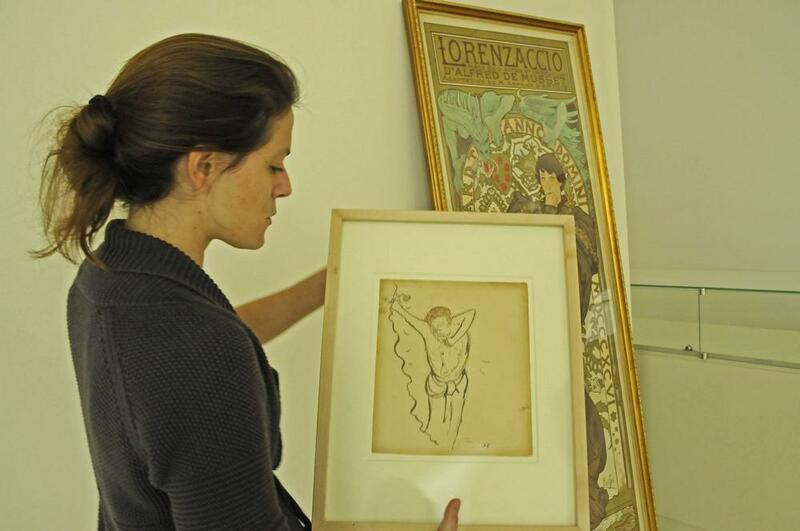 To achieve his work Cocteau created the “Menton Style”: between the different characters painted on the walls such as Orpheus, Euridice, centaurs… he drew a new form of writing using arabesques to cover all the blank spaces. Admiring those frescos you can feel jealous of the lucky ones who get married here! 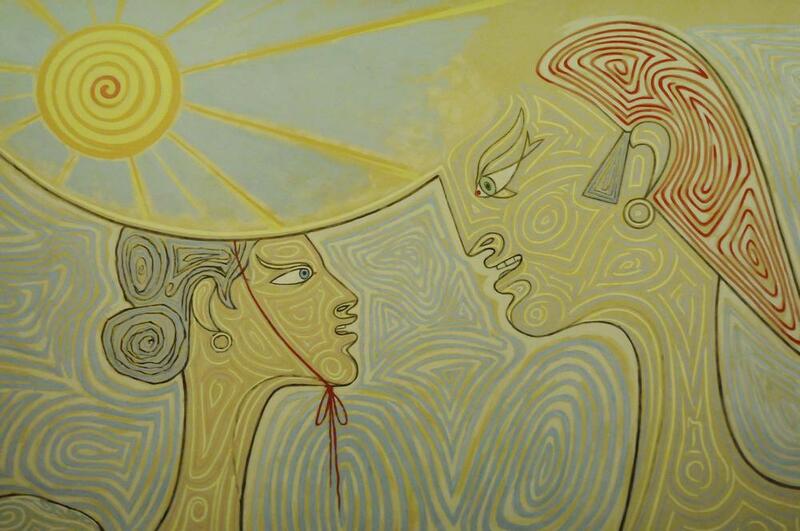 Severin Wunderman was an American businessman and a great admirer of Cocteau’s work. Throughout his life he collected as many piece of art connected to Cocteau as he could. In 1985 he created a Cocteau Museum in Irvine, California. But he always meant to bring his collection back to France and it seemed only natural to him to create a new museum in Menton. It opened in 2011. 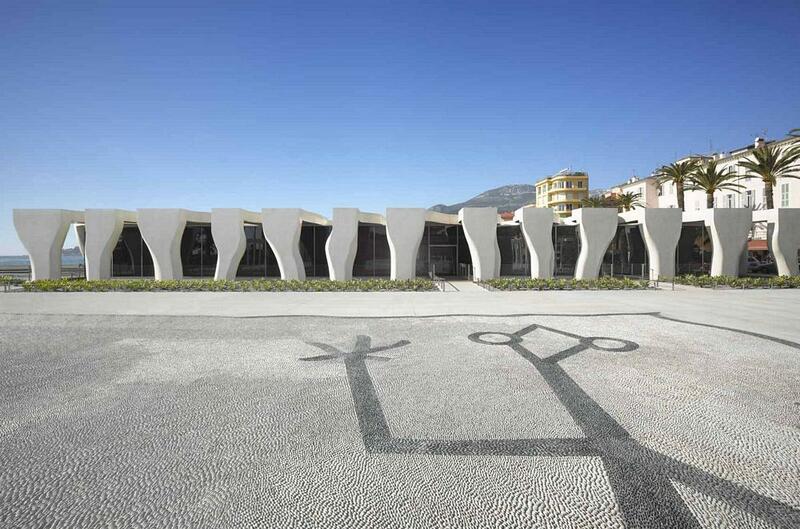 A brand new building, white and extremely bright, was designed by Rudy Ricciotti and is ideally located in the city centre along the seaside. Being low enough its modern architecture doesn’t spoil the view, on the contrary! The museum is open every day except Tuesday from 10am till 6 pm. If you have more time you can also go to Frejus where Cocteau decorated another chapel and to Cap d’Ail where he created a wonderful open-air theatre overlooking the sea. « Leon de Bruxelles. Belgian Beer & Mussels in London’s Theatreland.